Mosquito (Culex pipiens) under a microscope! Our mosquito's itching to come over and play. She can be there by dusk. FACTS: There are about 3,000 species of mosquito, but culex pipiens is the most common. It is found almost all over the world, except in Antarctica. Spanish for "little fly," mosquitoes beat their wings between 300 and 600 times per second. The unnerving sound they create differs from species to species, and listening for the right note helps male and female mosquitoes coordinate their social lives to find suitable mates! But only female mosquitoes bite. Their eggs need the protein in blood to help develop. While culex pipiens females will happily snack on human blood, they tend to feed on birds – which implicates them in the transmission of the West Nile virus. 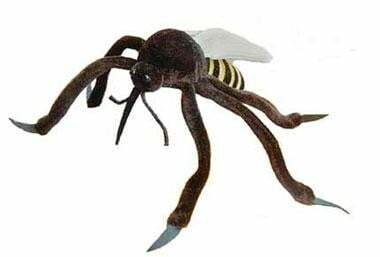 The actual sting of a mosquito is rarely painful, and it is seldom even detected. However, the saliva injected to stop blood from clotting provokes the aggravating skin inflammation and itching associated with a bite. Calamine lotions, and other creams, can help soothe the pain. Of course, wearing longs pants and shirts, particularly at dawn and dusk, can help avoid bites in the first place. Mosquitoes are extremely attracted to the carbon dioxide you exhale, and they can detect it up to 75 feet away – so you can also try holding your breath! 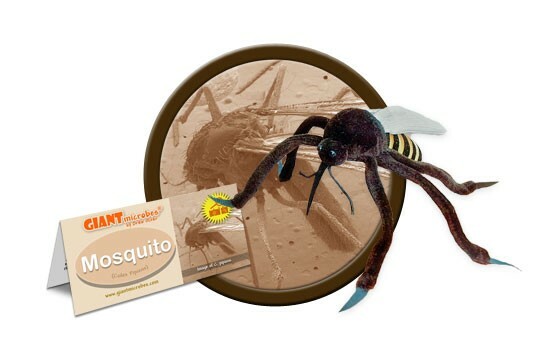 Better yet, try repellents, particularly ones that contain diethyltoluamide (DEET), picaridin, or lemon eucalyptus. She might just take the hint. Mosquitoes serve as a food source for fish, birds, and other insects, and act as pollinators for many plants. However, in the case for mosquito existence, most people will likely agree that the cons outweigh the pros. The problem with eradicating mosquitoes for good is that we don’t know everything there is to know about them yet. Depending on the species, they can vary in size from 1.5 to 12.5 millimeters. 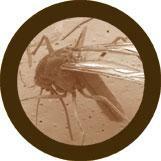 Fossils of mosquitoes reveal that they used to live up to 2 inches. That’s almost the size of a credit card! There are thousands of mosquito varieties that exist all over the world. They grow just about anywhere there’s water and temperate climates. Some common genera of mosquitoes include Anopheles, Aedes, and Culex. Anopheles quadrimaculatus mosquitoes are known to carry and spread malaria. Aedes aegypti became infamous for spreading yellow fever. Culex pipiens is the common household mosquito found all over the U.S. All three of these mosquito species can carry West Nile Virus. Mosquitoes evolved during the Jurassic period and have existed on Earth for over 175 million years. These little buggers outlived the dinosaurs! Only the females feed on blood from vertebrates. Males feed on plant juice and nectar. They have olfactive and thermic organs that detect carbon dioxide, warmth, and heat from their prey. They can sense their next meal from up to 50 meters. That’s half the size of a football field!